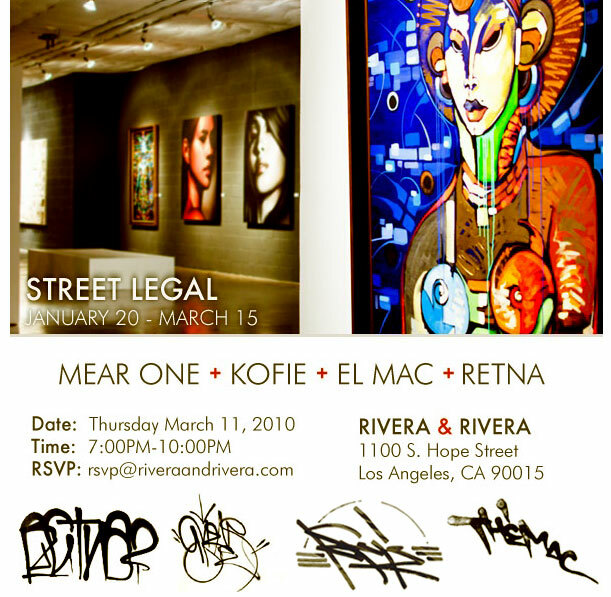 RIVERA & RIVERA Gallery is proud to announce the opening of Street Legal, an exhibition of original artwork by legendary Los Angeles street artists, Mear One, Kofie, El Mac, and Retna. 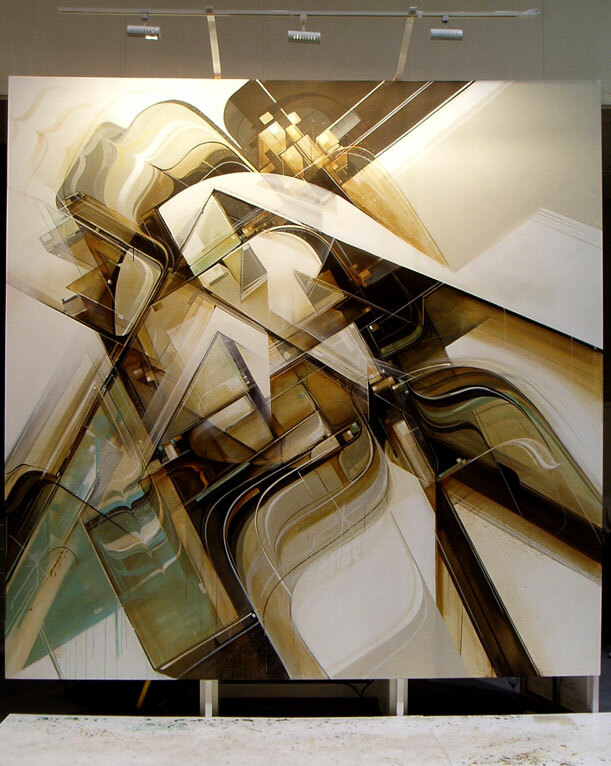 While wildly diverse in styles, media, and scale, this unique group of artists have transcended street writing and evolved their work into one of the most challenging and sophisticated contemporary art forms. Acrylic on Lucius Hudson canvas.